If you are an Android user or an iPhone and iPad user then I am pretty sure that you all have Google photos installed on your smartphones but in case, if you don’t know about all its features and what it can actually do for you then worry not, simply follow this post and I will be talking about 7 Cool Things About Google Photos Assistant, You Might Not be Aware of. You might be thinking that why I am calling it Google photos assistant so, let me tell you this if you don’t already know. Google photos app for Android and iOS packs a built-in virtual assistant that helps you in managing photos and videos on your smartphones and also helps in managing storage on your device. Now let’s see what else it can do for your photos and videos. 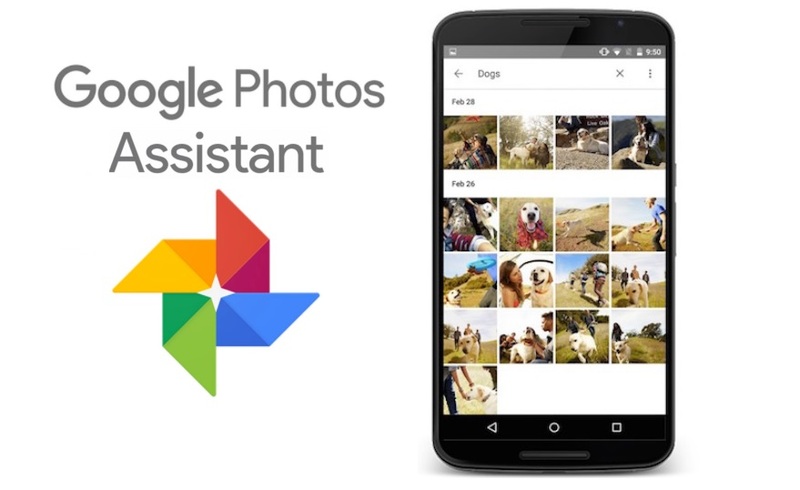 The first thing that Google photo assistant does is that it helps you manage all of your photos and videos on your device with a better and organized way, so you can easily access all of your clicked and saved photos easily. You can access your photos by day, month, and year. You can also search by typing into the search bar to see photos for any specific month. This is something you can also change by pinching in and out on the main album screen to see photos from days wise to year. If you want Google Photos Assistant to automatically create photo albums, make GIF animations, movies, and group photos in collages. All you need to do is open the app, then tap the menu tab or just swipe from left and go to Settings > Assistant Cards. Now tap New creations to enable it. Now you’ll receive cards and notifications informing when the assistant has made something new for you. Also, remember that you can do all these things manually too, but you will just need an active internet connection. We always use to click photos using your phone that makes our phones look full of photos and unorganized and this is something we often don’t care about and because of that and so many photos it becomes really difficult sometimes to find any particular photo from them. In this case, Google photo assistant helps a lot. It automatically combines and group photos using, the date and the location the photos were snapped and creates albums automatically while you sleep. If you don’t want the assistant to automatically create albums of your photos or you want to create albums manually choosing photos of your choice then simply disable the New Creation option from the settings. Now to create an album with your choice of photos simply tap the Assistant button in the lower-left corner of the app, (you can also use the top-right menu). Now with for options choose the album, now tap the images you wish to include in your album, then tap on Create (on the top right corner). Now, wait for the album to be created, assign a name, and wait for it to be saved. Here, you can even add text, add photos, rearrange the photo order (long-tap and drag, or use the sorting button) and even set the location. Tap the check button when you’re done that’s it. Just like It creates photo albums the Google Photos Assistant can also create GIF animations based on your saved photos on your smartphone. If you want to create manually, then again tap Assistant then go to Animation. Here, select between minimum 3 and 50 photos and click Create, and wait as the animation is produced and you good to go. Google Photos Assistant also creates great movies clips for you automatically by grouping a set of recorded video clips from a particular date. You can also edit that video later by changing its style and soundtrack. Again, if you want to create video clips manually you can also do that, Just go to Assistant > Movie and select the video clips you want to create your new movie clip. Collage is a set of different images combined into one image. This feature is really great if you want to create group photo by combining different photos into one. To create your own collage, go to the Assistant > Collage option to choose the photos you want to include. You can add minimum from two to nine photos, so select them and click Create when you’re ready. The editing process is just similar to the Photos. Google Photos Assistant also helps you in managing your device storage filled with images and videos. Whenever your device storage seems to be full of images and videos the Assistant automatically alerts about this and it also gives you the options to free up some space on your device by deleting any unwanted images or videos stored on your device. To do so. Just tap on the Free up space button and the Assistant will automatically delete the images. But don’t worry Assistant send these alerts after backing up your images for which it was showing the alert. So, you don’t have to worry about losing your images. Moreover, you can also manually set your Backup and Sync preference just by going to the settings and then Backup and Sync options. That’s all for Google Photos Assistant, what you like the most about Google Photos Assistant app on your Android and iOS devices? Do let me know in the comments section down below.